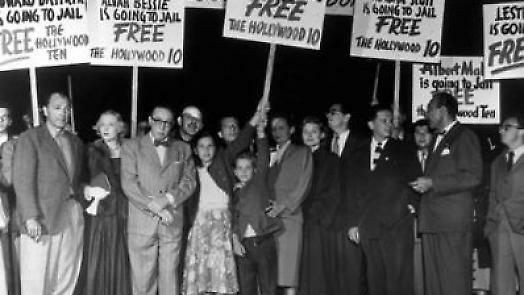 The Spanish Civil War might be considered Hollywood’s first cause célèbre, a political cause that saw famous movie actors, directors and screenwriters joining together to denounce Fascism in Spain. This excellent documentary is told through the eyes of Alvah Bessie, a Hollywood screenwriter, who also fought against Franco in the Spanish Civil War. The struggle in Spain has been the subject of more than 50 Hollywood films. The defeat of democracy in Spain left an open wound in the heart of some liberal actors, directors and screenwriters who used this affection for democracy in Spain as a potent symbol of the romantic spirit of many of their screen characters. 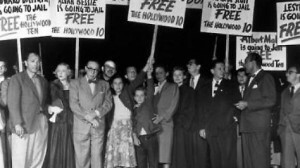 A War in Hollywood illustrates this fascination and sense of kinship with Spain through the personal story of Alvah Bessie, a Hollywood screenwriter who served as a member of the International Brigades in the Spanish Civil War. This documentary offers a fascinating approach to the relationship between filmmaking and politics. (MSPIFF) Oriol Porta was born in Lerida, Spain. He is a film producer, director and teaches classes in documentary filmmaking at Ramon Llull University in Barcelona as well as at ESCAC in Terrassa. He founded his own production company, Àrea de Televisio, in 1993. A War in Hollywood is his feature directorial debut.